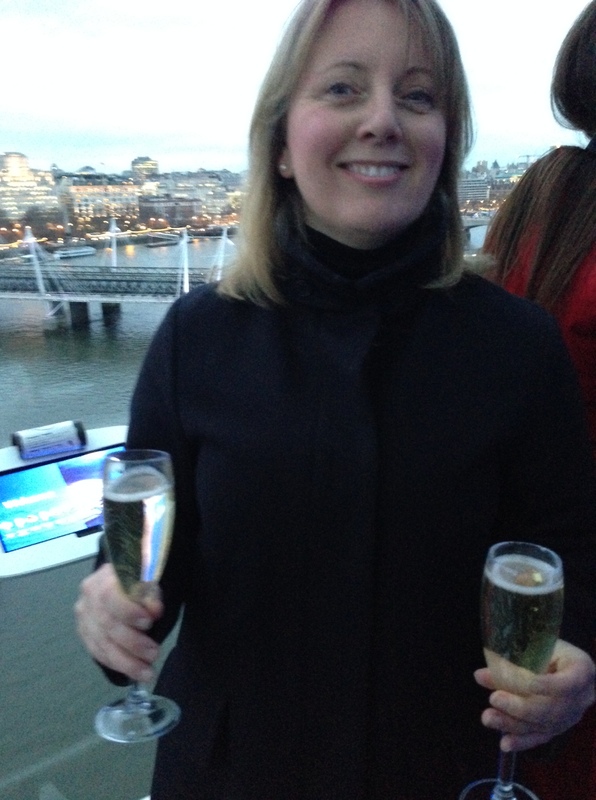 Team DR were invited to experience the delights of The London Eye and Barracuda last week. The iconic Eye is the UK’s most popular paid tourist attraction. When it was first erected it collected the title of the world’s tallest Ferris wheel (now surpassed by Star of Nanchang and Singapore Flyer) and is still the highest in Europe. 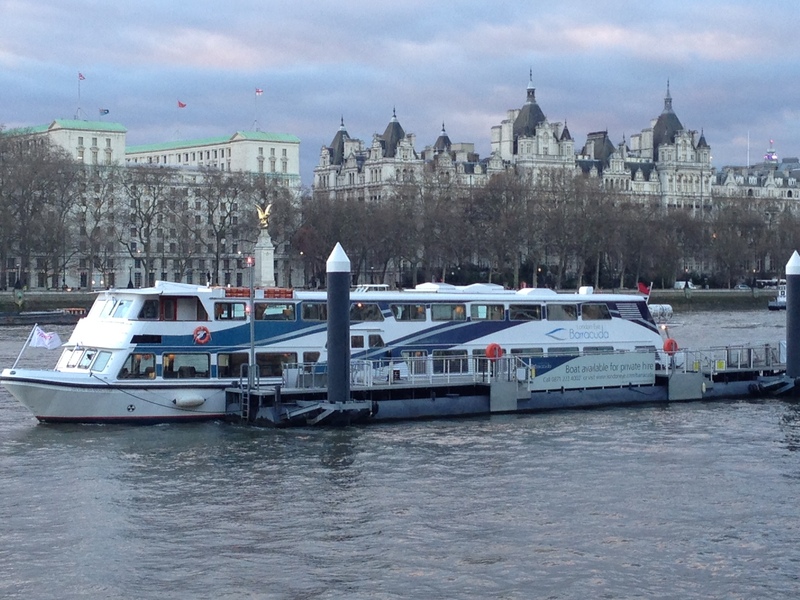 Situated on the banks of the Thames right in front of the London Marriot Hotel County Hall, the wheels 32 sealed and air-conditioned capsules have been rotating since February 2000. Now re-branded to reflect its sponsorship by EDF Energy, many people feel The Eye has done for London what Eiffel Tower did for Paris by giving all the people a way of viewing the capital from the air. Now the lovely people at The Eye have refurbished one of the capsules with a state of the art sound system and brand new furnishings and have launched it’s most exclusive experience yet, a private capsule dining experience called “Dining at 135” ( the height of The Eye in metres). Up to 8 guests will be served with Champagne and then served a three course meal including wines created by event catering experts Rhubarb during three rotations. The ‘flight’ will take place once all other visitors to The Eye have left and during the third rotation The Eye will pause to take in the romantic views. We were treated to a taster experience as Rhubarb are also catering for other private dining experiences on The Eye including afternoon tea, canapes and champagne and tapas. After gathering in the newly decorated ticket hall inside the London Marriott we were ‘priority boarded’ along with fellow guests just as the sun was setting over the capital. Glasses of chilled Pommery Champagne were quickly handed round and tapas was then magically produced from a ‘flight case’ (how apt!). We were treated to olives and Manchego cheese, cured meats and salted fish whilst gazing over the capital as our capsule glided over the London skyline. For those who may have already ticked a flight on The Eye off of their bucket list I would urge you to go again, not least because the architecture of our capital has changed so dramatically over the last ten years. Buildings such as The Gherkin, The Shard, The Cheesegrater and the Walkie Talkie building are all new additions to our capitals skyline. There is also something rather magical about taking a flight with a glass of Champagne in your hand – let’s face it a glass of fizz makes most occasions rather special! After our flight we were led off of the Eye and down the Millennium Pier to the awaiting Barracuda Thames Cruiser. The vessel boasts stylish art deco inspired interiors with fabrics from Osborne & Little, complimented by wool carpets, comfortable tan leather sofas and oak carpentry. It has two decks and the upper deck features a retractable roof above the dance floor allowing guest to dance under the stars! 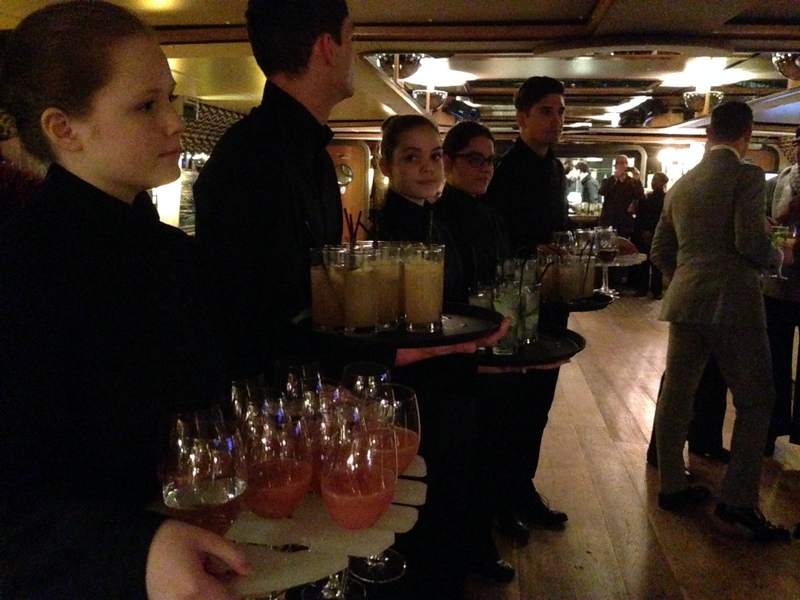 We were greeted by a a marvelous line up of arrival drinks, hosted by ‘Hire the Barman‘ which included cocktails, juices and wines. 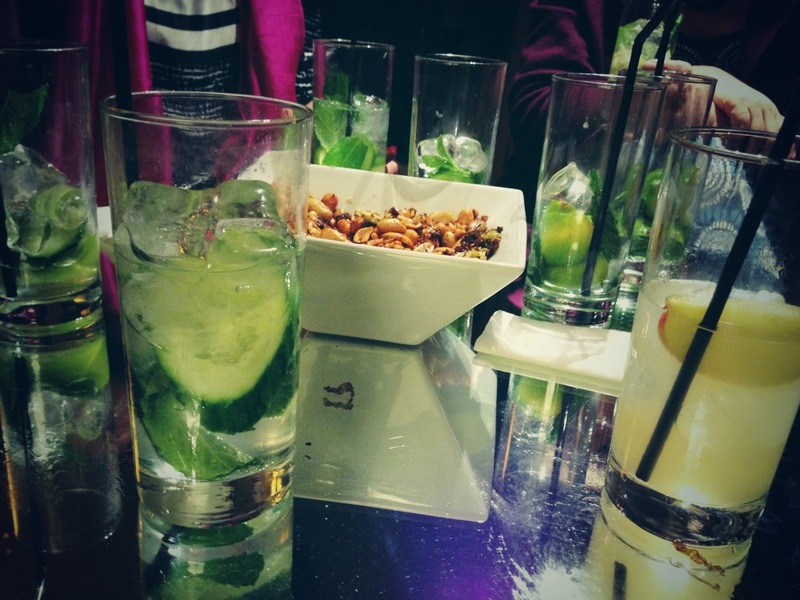 We started off with an extremely refreshing gin, lime and elder flower concoction and availed ourselves of the spicy pile of mixed nuts that was placed in the middle of the table. We were also treated to musical entertainment in the form of three young men on a guitar, accordion and violin who sang in the most unusual harmonies and had all of the females on the boat very charmed! Having finished off the gin cocktail we then tried a lovely honeyed rum which had a trace of spice and relaxed on the leather sofas as were were ferried down the Thames. Trays of miniature glasses with chilled gazpacho were served and these were followed by some bowl food selections including Potato gnocchi with pesto and summer vegetables and Slow braised venison haunch steak croquettes with port jus and celeriac mash. 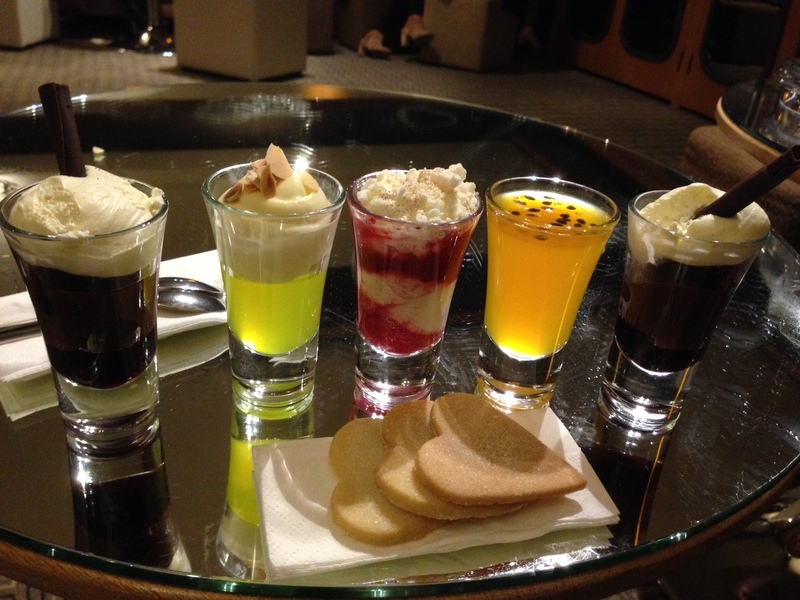 Then next treat came in the form of tiny neon puddings in shot glasses. We didn’t work out what each of them were but they included Gin and tonic jelly with lime foam and Raspberry ripple Eton mess with framboise. We then turned under Tower Bridge and headed back up the river to be delivered once more on the South Bank. The Barracuda is available for private hire for events and we can thoroughly recommend both Rhubarb and Hire the Barmen as caterers. The London Eye has lots of exciting events planned and we will be emailing members this week with the most incredible member offer and competition. Watch your emails! 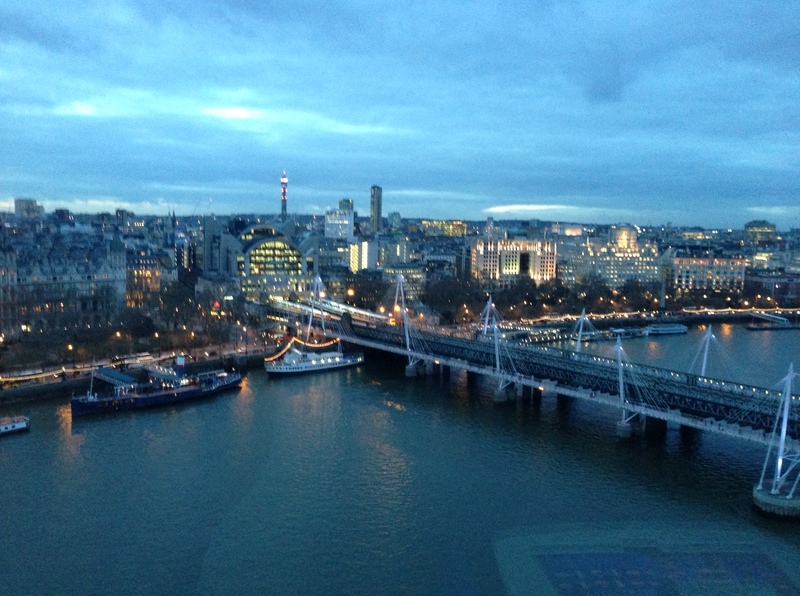 Design Restaurants were guests of The London Eye. For more information go to www.londoneye.com. Design Restaurants is an online fine dining guide and membership club. 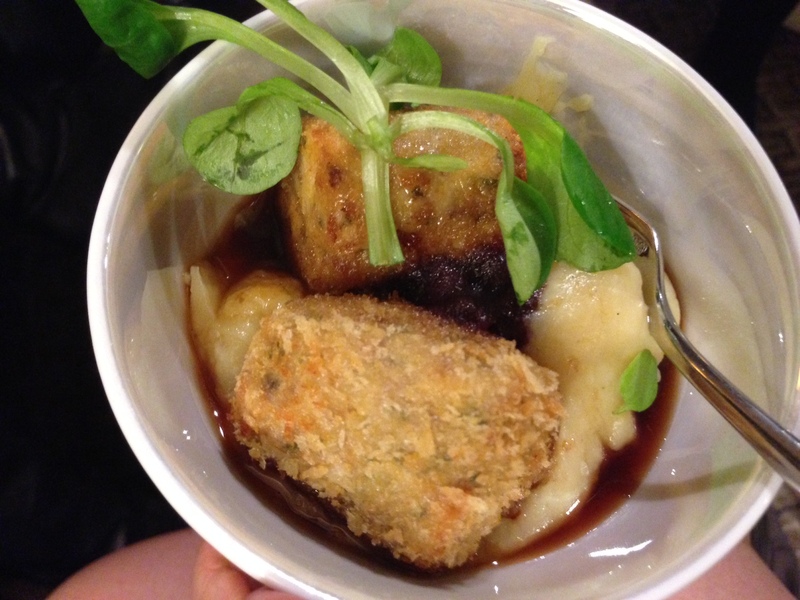 Download our free app from our homepage at www.designrestaurants.com and take advantage of our exclusive £10 for 10 days trial!